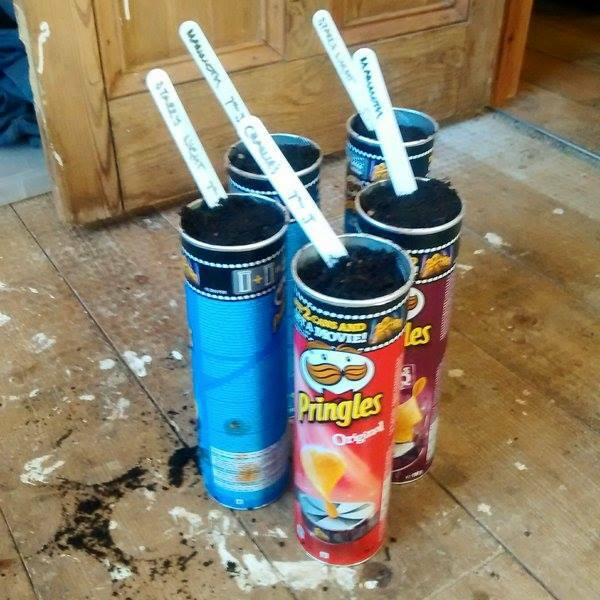 Sowing Sweet Peas into Pringles tubes makes you look young and funky and like someone who could tell you what is number one in the hit parade. Higgledy Flower School 2016. #22. Sowing Flower Seeds In January. The majority of seed sowing for a cut flower patch will happen in Spring…April being the uber month…then a couple of months in June and July to sow up your biennials (Foxgloves, Sweet Williams etc) and then another blast in late August and early September sowing hardy annuals. January, February and March are pretty skimpy as far as seed sowing goes and are far better suited to tea consumption, reading about cut flower growing…and dreaming about cut flower growing. However…there are a couple of things we can sow in these months if we get ‘the itch’…I had ‘the itch’ pretty bad today and so relieved myself in the usual manner…by digging out the Sweet Pea and the Snapdragon seeds. 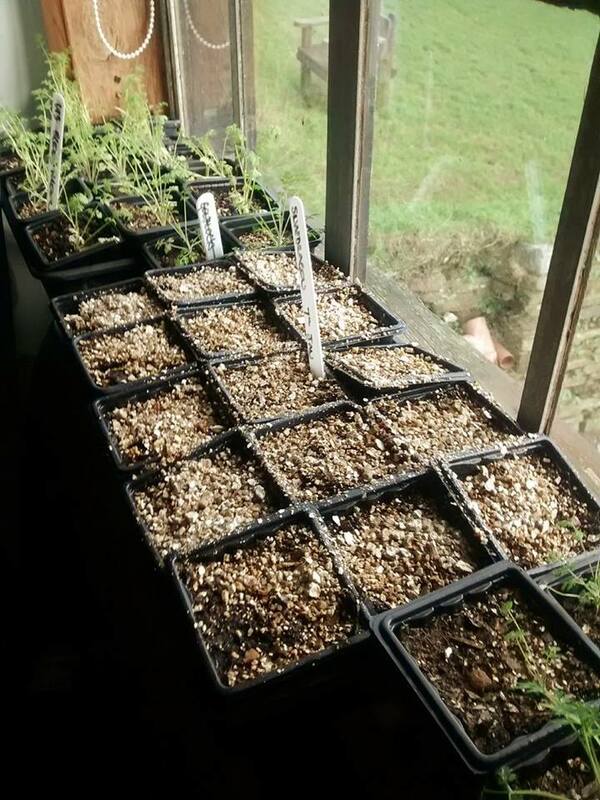 Now it must be pointed out that many seed suppliers will include seeds such as Cleome and Cobaea in their lists of seeds to sow in January…I would say you could only grow those with heat beds and lights…this is something I’m not into…it seems like an indulgent waste of electricity just to get flowers a few weeks earlier. As a general rule, sowing annuals before April is a false economy and often produces weak plants…just relax…have a Cadbury’s Caramel and be stroked gently by the Rabbit lady until things warm up for real. First tray of Snapdragons sown up. Today I simply sowed up two trays of Snapdragon ‘Cheerio’…giving them a light coating of Vermiculite (unnecessary but looks gold and blingy) and I also sowed two Sweet Pea seeds in each of five Pringles tubes. Pringle tubes are better than toilet rolls and kitchen rolls as they are bigger and stronger and come filled with Pringles. 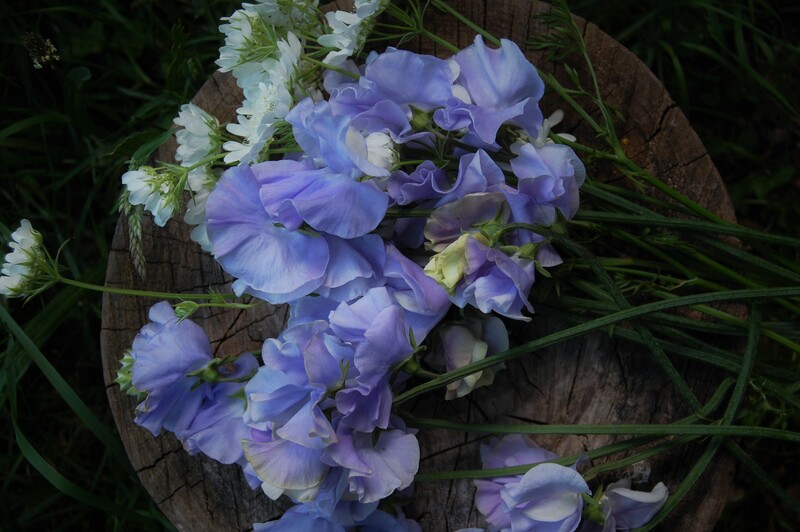 Link: The Higgledy Sweet Pea Collection. NB I know several commercial growers who never sow in deep pots…they just sow into small three inch square pots and say it doesn’t make any difference…but then they miss out on the Pringles of course. #Losers! 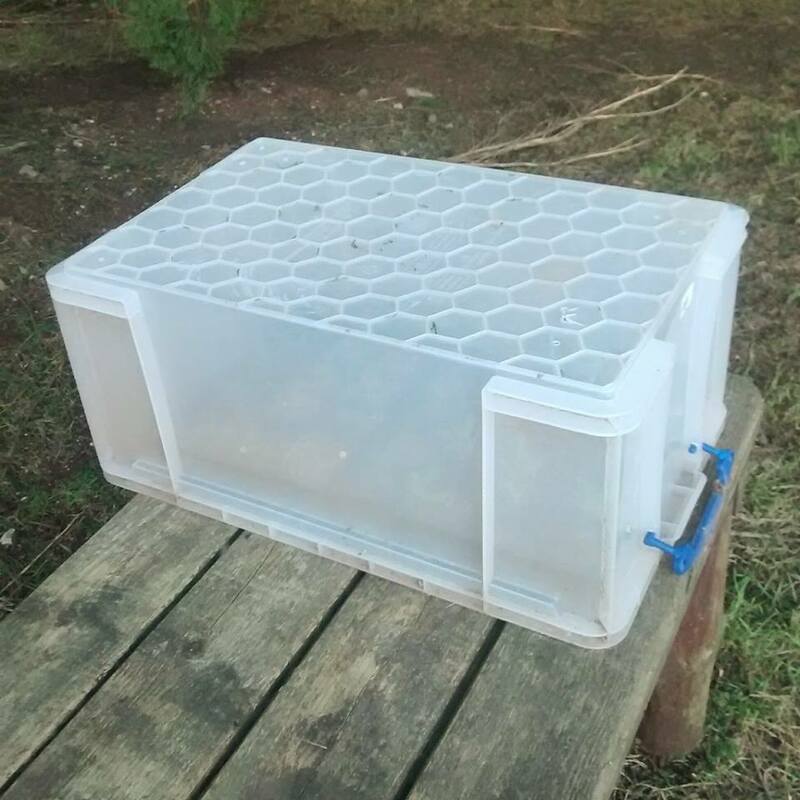 The Higgledy Coldframe of Dreams. I will let these creatures germinate indoors with me and Furface…our little shack is probably about 19 degrees most of the time….except when Furface has a sherry over the odd and chucks wood in the burner like he’s back in the steelworks… Once they have germinated I will then put them out in my coldframe… Which is presently a series of inverted plastic boxes…#StayClassyHiggers The coldframe will keep off the worst of the cold and the frost until such a time as it’s warm enough to plant the blighters outside.